In order to get MAXIMUM potential out of a gaming computer you’re going to have to build one yourself. Now most people that have never even thought of or tried to build a computer might think that it sounds like an impossible task but in reality it really isn’t that hard at all! 😀 There are plenty of tutorials out there on the internet on how to build a computer but the one I think is best is done by NeweggTV. Newegg created a video series showing how to start from scratch to build the gaming computer of your dreams. Before I got into PC gaming I was gaming on a console. When I found out about all of the modding potential and the overall community that comes with PC gaming I just had to get into it. When I researched pre-built desktops I was shocked by how expensive it was and when I kept reading I found out that most of the $600 computers aren’t even powerful enough to keep up with today’s hardware demands of PC games. That’s why building a computer is so much better. This custom build could easily retail for $1,000+ so you can be sure you’re going to have a beast of a gaming computer after you finish building this one. You’re about to join one of the most amazing gaming communities that the gaming industry has to offer and you’re also about to experience a fully customizable platform. This custom PC will not only be able to run games such as Dying Light, Grand Theft Auto V, Dragon Age: Inquisition and Evolve on higher graphical settings but you’re also giving yourself access to the benefits of just having a computer! I mean you’re probably going to own some kind of computer anyway so why not make it a gaming beast on top of it? In my opinion that is totally worth the little extra investment. * = Optional part, final price includes the optional part. 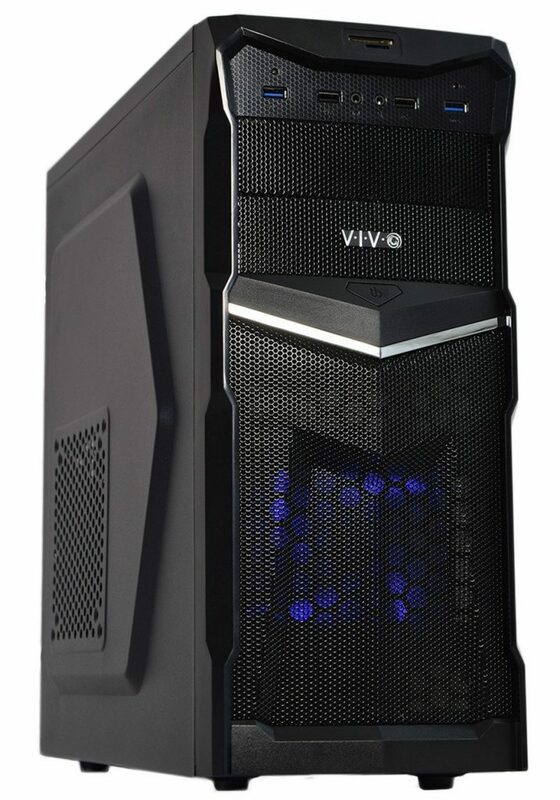 The computer case is entirely up to you, the one that I have listed above is the close to the cheapest one on Amazon but it is still a pretty good case. If you want to browse computer cases then do so by Clicking Here! For the most part, mid tower cases will do just fine with this build. Feel free to ask me about a specific case if you’d like, you can do so in the comments area below! 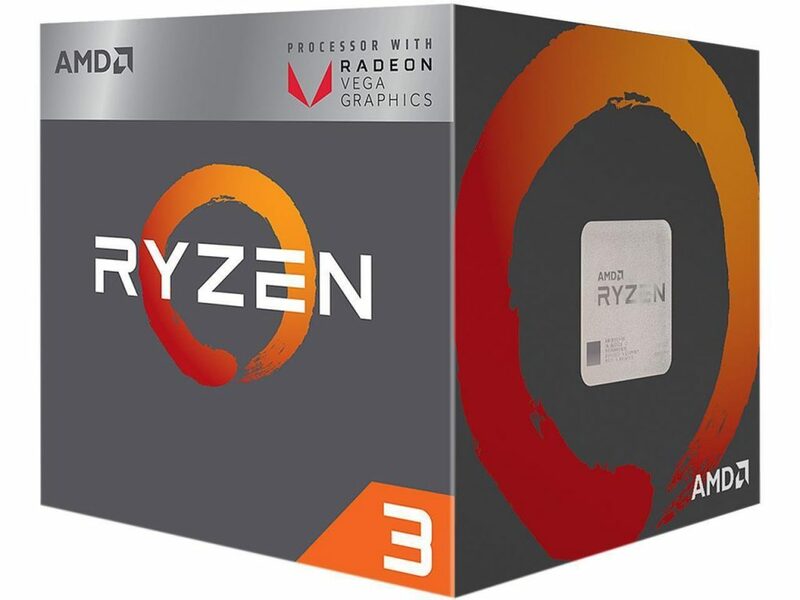 The Ryzen 3 2200G CPU is a good choice at this budget, it has nice overclocking potential! The Ryzen 2200G is a pretty awesome processor especially for this build. The new Ryzen line up has a nice upgrade path that you can go with down the road and when you overclock the 2200G you’re able to reach similar if not higher levels of performance in comparison to an Intel i3 CPU. I had to make the switch to the Ryzen 2200G from the i3-7100 simply because it makes more sense when looking at the prices today. Performance wise, the main difference between the two is that the Ryzen 2200G would be better at heavy rendering tasks and it’s also able to be overclocked for further performance potential. At stock, the Ryzen 2200G is still a very good CPU to go with when you’re thinking of using the build strictly for gaming. As far as upgrades, you could get something like a Ryzen 1700 if you really wanted to pump up to high CPU performance. Overclocking has come a long way and after watching some videos on YouTube of others that are OCing this exact same processor, you’re going to be able to do it too. We can use a GTX 1060 3GB variant with this budget point since pricing has gone down in the past few months! It’s not essential to overclock but if you do then you’ll be using the processor at it’s full potential and it makes sense to do so when you’re comparing it to the old processors usually used at this budget point. Pairing the performance of the overclock with the video card… you’ll be surprised at how well everything will run! Having the GTX 1060 card is going to put you in awe the moment you start up your first game on this custom build. This would have been a great upgrade for me from my last card which was a Radeon HD 7770. That card was able to run Skyrim at max and Dragon Age: Inquisition on med-high tweaked settings. This card blows that card WAY out of the water and you can expect some pretty amazing frame rates out of this card. 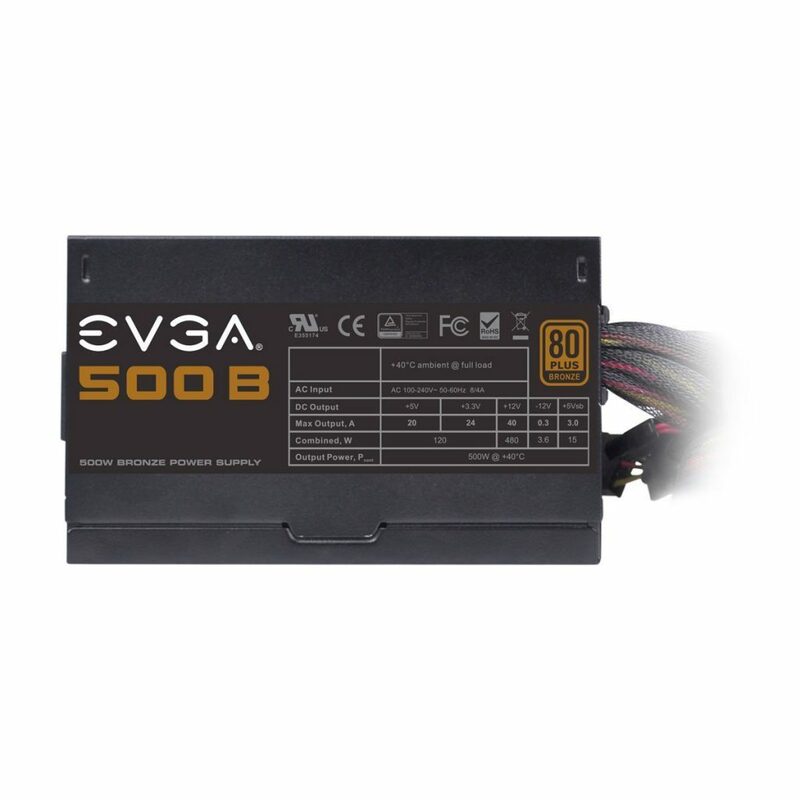 To be honest, a 570 or 580 would be the best choice for a video card at this budget point since it’s usually at an optimal price point for today’s market. 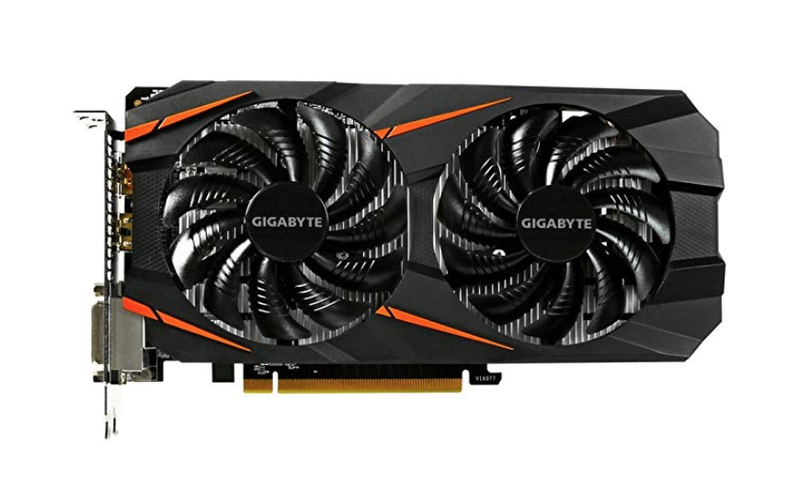 It wasn’t long ago when the prices weren’t making much sense with the newer graphics cards but it seems that this 500 series that just released is having issues with not being in stock right now hence why it makes sense to go with a 4GB 1050 Ti for now. As far as an upgrade path for the video card – you shouldn’t worry about it for a good while yet. If you’re gaming at 1080p and/or plan to do some virtual reality gaming then you’re going to be set for a good while yet. Sure, something like a 1070 might have a bit of a performance boost but when it comes to this budget point the 1050 Ti is going to be your best pick for now, at least until the 580 gets back in stock and stays at a good price point. 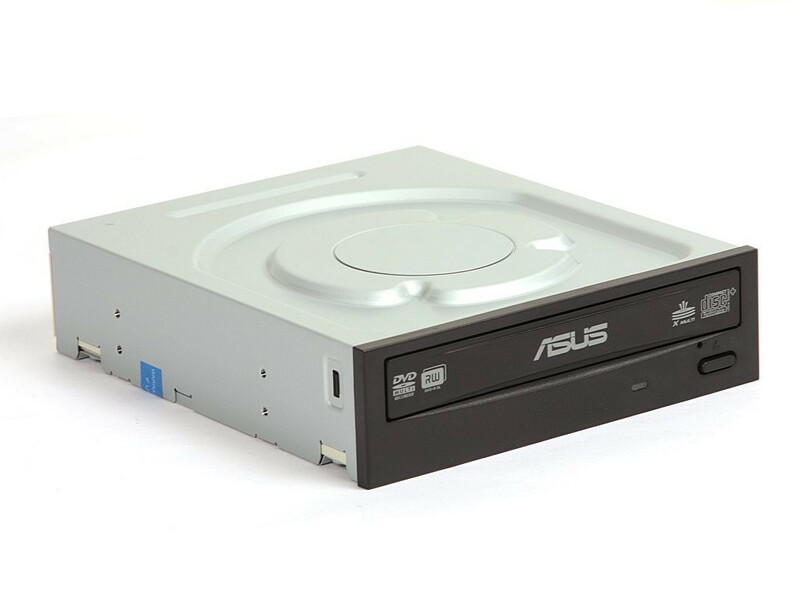 * It’s up to you if you want to include the CD drive. You can also install your operating system using a USB drive if you want, I included it because for new builders having the CD drive streamlines the process of getting Windows installed along with the necessary drivers since some parts come with a CD to do so. You’ll also want to pick up a keyboard/mouse combo as well as a monitor to really finish up the build. Check out this keyboard/mouse combination by Cooler Master, it’s an amazing combo for the price point. As far as a monitor, this specific build is going to be able to run games at a 1080p resolution extremely well, so it’d be in your best interest to pick up a monitor at that resolution for the best quality you can get. You can’t go wrong with a $600-ish budget. This PC is definitely bound to impress you especially if you are currently using an out-dated computer. Once you build your computer and get the operating system installed you will instantly notice the difference! As far as operating systems go, this would be a decision that is entirely up to you. For now I’d recommend picking up Windows 10 simply because I love the interface behind it and gaming for me hasn’t been an issue. Windows 10 is sort of the overall best contender for those looking for the most optimal performance for gaming on an operating system. There are other choices as well but if you’re looking for an OS that is going to be able to run some of the most popular games then Windows 10 is going to be your best bet. Almost every single PC game is made for it. SteamOS, a Linux based operating system by Valve, is also making some noise in the OS space. In my opinion, it will eventually be the best operating system if your computer is strictly for gaming use. If you cannot afford Windows right now then I would suggest going the Linux route with Ubuntu. Not all games on Steam’s platform are compatible with Linux but that is soon to change. There are still plenty of free and paid games to enjoy on Linux and Windows. Ubuntu is an open-source, FREE operating system that you can use to easily use the internet and play some pretty fun games. If you don’t have the extra $100 for Windows but you still want to use it then you could just throw Ubuntu on your computer then save up until you can afford it. Then you could either dual boot both operating systems or just go with one of them. Now there is also an option of pirating Windows but I don’t condone to this at all and no I’m not going to show you how to do it. If you really want to go that route thenw there are plenty of YouTube videos for that but again please don’t ask me how to do it. Oh, and if you’re wanting to connect to wifi in the best way possible then I recommend going broadband. It’s the fastest and most reliable way of connecting to the internet with a desktop. You should check out the wireless network adapter below if you’re interested in that! I’ve also included a link to a 64bit version of Windows 10. ALWAYS make sure that you go for 64bit otherwise you won’t be able to use all 8GB of the RAM that you’ve got! So what do you guys think of this build? Beast mode system right?! P.S. If you have any questions about this build or anything on my site then feel free to comment and ask! Tagged 600 dollar budget, 600 dollar computer, computer, gaming pc, next gen. Bookmark the permalink. 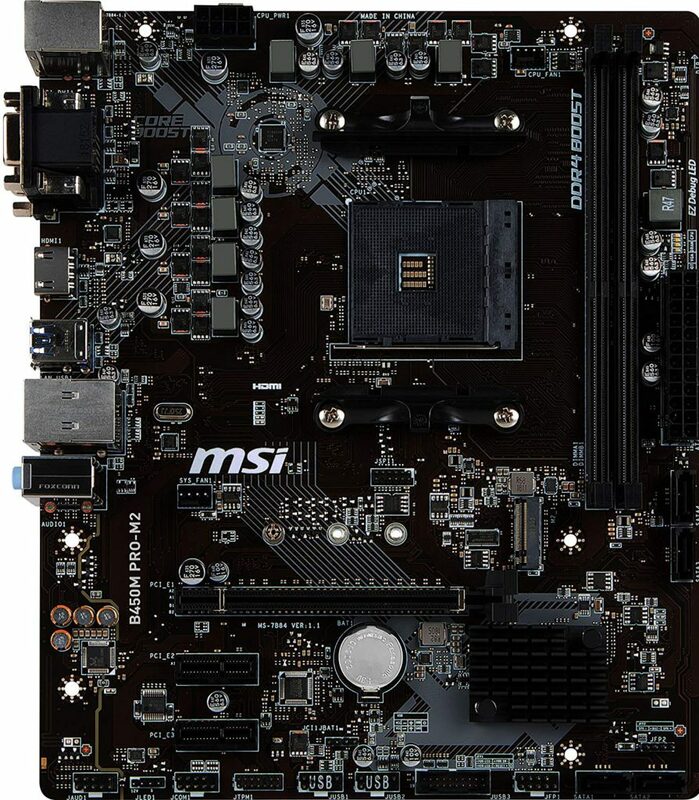 While looking into overclocking with this motherboard (because I got a gammaxx 200t which isn’t am4 compatible), I found multiple people saying that overclocking with this motherboard isn’t a good idea at stock settings because it doesn’t have a SoC VRM heatsink. I was wondering whether this was true or not, and if so, what’s a good VRM heatsink to get for this motherboard? Also, I got this before you changed the recommended GPU, and was wondering whether an after-market heatsink fan for just the CPU would be enough to overclock the GPU as well. I don’t have any experience getting a different VRM heatsink for any board but I’ve heard of people using this exact board and having no problems getting a stable overclock at 4.2ghz and VCore set at 1.375 and EAM set to 16-17-17-17-35 overclocked to 3400mhz as is. Overall temps you’ll want to observe as you overclock the GPU, but don’t over stress it. Use a program like Afterburner to get it done. You should be able to get a slight overclock from the last GPU listed here. First off I just wanted to say I built your 600 dollar build at the end of 2016, and I have yet to have any problems. You are really a lifesaver, and I just want you to know that you are appreciated. Many of my friends have since built PCs using your site. So here’s my predicament — I’m looking to get into the VR game, specifically Oculus, and I’ve come across an issue. My current GPU is a NVIDIA GTX 1050Ti OC which according to Oculus is the minimum specs required. However, it is not the recommended specs. The current recommended specs lists a NVIDIA GTX 1060. Would I be okay in VR on the minimum specs? I’m not sure if you can even answer this oops. If you don’t think so, would you mind suggesting a new card I could look into that could set me up nicely? If I would be coughing up the money, I would rather go bigger than settle for the recommended, if you know what I mean. Thanks for your constant hard work helping us out. I’m happy to hear that you’re still enjoying the build! Thank you for sharing the site, that means a lot! I’ve been using the HTC Vive for a long while now so I’ve got a decent understanding of what’s needed when it comes to running VR games smoothly. You absolutely need to be able to run the games at least at 90 FPS because otherwise you’ll get a headache when your head movements don’t line up right with the movements in-game. I currently use a GTX 1070 and I’ve been able to run every modern day VR game with ease at higher graphic settings. A 6GB 1060 can handle today’s titles, but you’ll have to mess around with a bunch of settings to get it right. If you go with something like a 1070 (which you should anyway since the jump from the 1050 Ti to a 1060 wouldn’t be quite worth it imo) then you’ll be right in the ball park for being able to use the Oculus the way it was meant to be used. I’d suggest this GTX 1070 from Asus if you wanted to get it. If you’re able to shell out the extra cash then this GTX 2070 from EVGA would be an even better choice going forward. You may also want to consider having 16GB total RAM, I noticed a bit of a difference in performance when I installed 8GB more RAM to my PC. Try just upgrading the card first and see how it is! Let me know how it goes!